How Helper Direct Site works? How to sign up to become a Member? Password incorrect or Account doesn’t exist? What info will be displayed? Why my Job seeker profile not listed? How to add Helper Direct website to the home screen of a mobile phone? Helper Direct provides an online platform that facilitates the matching of Job seekers (i.e. domestic helpers) and Employers. Now the searching and matching process can be done online more efficiently. Registered Job seekers can upload their personal information, photo, work experience and self description such that a potential employer can understand more about you and be able to find you. Registered Employers can bookmark and shortlist the search results you are interested in. You can also post a job advertisement and Helper Direct will help you to find the right matches based on your set of criteria for your further selection. To better serve you, Helper Direct will continue to enhance our Services and Site, you will be notified once new features are added to the Site. Sign up is free of charge. Go to the sign up page by clicking on the "Sign Up" button on the top right hand corner of the Site. If you are a Job seekers, click on the "Helper" button; if you are an Employer, click on the "Employer" button. If you accidentally chose the wrong category, please contact Helper Direct to switch your category. After you have signed up on the Site, Helper Direct will send a confirmation email to your registered email address. Your registration will be completed after you confirmed the email. If you cannot find the confirmation email in your Inbox, you may want to check your Junk mail box or request for the confirmation email again on the login page by clicking on "Resend Confirmation" underneath the login button. Please note that you are only allowed to create one (1) Employer OR Helper account. You are required to log in to your Helper Direct account by entering your registered email address and password. You are responsible for safeguarding your password. Please DO NOT give your password to anyone nor share your Helper Direct Account with anyone. We advise you to choose a password of at least 8 characters that is a unique combination of letters and numbers. If you see any changes of your account details, profile or employer ad that are not made by you, or receive questionable messages, please contact Helper Direct and reset your password immediately. Password is case-sensitive (e.g. mistyped B for b or vice versa ). Please type again carefully. Your email address might have been autocorrected by your computer or mobile phone, check your registered email address before you submit. You have registered with a different email address before. Your password is incorrect. You can request a new one to be send to your email. Please see Forgot Password. You have not yet signed up with Helper Direct. Please sign up by clicking the upper right hand corner link on the Site. To reset your password, please click on "Login" on the upper right hand corner of the Site and you will see "Forgot password" underneath the login button. Enter your registered email address after you clicked on the "Forgot Password" button and we will send a reset password link to your email address. Just click on the link and enter your new password to access your Helper Direct account. You can only do this by sending an email to Helper Direct from your registered email address. We might contact you to verify your identity before updating the new email for you. You can edit your profile at any time. Simply log in and click on "Profile", "Employment History" or "Job ad" accordingly, scroll to the information you want to edit, change it and press "Edit" or "Update Profile" at the bottom. In case you fill in something incorrectly or leave a section blank, the field will appear in red with an error message underneath it. Your profile will only be updated when all mandatory questions are answered in the required format. Please note that Helper Direct reserves the right to make changes to your profile such as deleting inappropriate profile contents or photo. If you have concerns about the changes or deletions, please contact Helper Direct. Helper Direct does not display any of the Employer information on the Site. Helper Direct will display the information of the Job seekers (i.e. domestic helpers) that we think is relevant to Employers’ hiring decision on the search results, information such as contact numbers and personal identifiable information will not be displayed for privacy reasons. After signing up as a Helper member, you will need to answer all the (*) mandatory questions and complete your i) Profile including your personal information, job preferences, photo and self description; and ii) Employment History including your previous work experiences and performed duties in order to have your profile listed and become searchable by employers. You can find the Profile and Employment History links on the upper right hand corner dropdown menu after you logged in the Site. In case you fill in something incorrectly or leave a section blank, the field will appear in red with an error message underneath it. Your profile will only be submitted when all mandatory questions are answered in the required format. You understand that the more information you provided, the higher chances you will find the right employer. Helper Direct will contact you when an employer wants to arrange an interview with you or have further questions for you. After created your Helper Profile, you should go to Employment Record link located in the dropdown menu at the upper right hand corner under your name. Employment History should be entered in reverse chronological order (i.e. your most recent job first, followed by each of your previous jobs in order by date). You understand that the more information you provided, the higher chances you will find the right employer. Employers prefer to contact helpers who have legitimate profile photos and complete profiles. We suggest you to use a clear, close-up photo showing only you because showing other people might infringe the copyright of others. You will have to answer all mandatory questions and complete the Profile and Employment History in order to be listed. At any time you can log in and answer the remaining questions. Your profile will be listed as soon as we have received your updated profile. In case you fill in something incorrectly or leave a section blank, the field will appear in red with an error message underneath it. Your profile will only be submitted when all mandatory questions are answered in the required format. You uploaded an inappropriate image or content. Helper Direct verifies all information including profile pictures uploaded to the platform. We do not accept any inappropriate or pornographic images or pictures that include others’ faces, regardless of whether they are your family member, your employers or your employer’s children. Any Employer Member can upload a job ad by clicking on "Job ad" on the upper right hand corner of the Site. In this job ad you can write a short detailed description about the job, your family, the kind of helper you are looking for or anything else that you feel is relevant. You can also indicate the start date, the preferred contract status and the expected duties. When Helper Direct receive your job ad, Helper Direct will find the right matches based on your set of criteria for your further selection. You can at any time edit or remove your job ad by clicking on the "Job Ad" button on the upper right hand corner and press the "Edit" or "Remove" button next to the ad you posted before. Please note that the Employer profiles will not be visible on the Site for public or member viewing. Any users can search helper profiles, but only Registered Employers can view their Employment History and bookmark the profiles you are interested in for your easy reference. After you click into the Search Helper link located on the left hand side of the top menu bar, you can either view the listing one by one or you can search helpers based on your specific criteria such as nationality, duties they have performed, contract status etc using the filtering pull down menu. First apply – Helper’s first time to apply and she has to wait for her visa in her country of origin. Finished contract – Helper will or has completed the 2 year contract. She can start as soon as she received the new visa. Break contract – Helper initiates to leave. She will have to return to her country of origin and wait for her new visa. Termination (relocation/financial problems) – If employer terminates due to these two reasons, it will be treated like Finished contract. Termination (other reasons) – If employer terminates due to other reasons, it will be treated like Break contract. Registered Employers can bookmark their favourite Helper Profiles by tapping the Star icon on the listing or on the detailed profile page. You can access your bookmarked profiles anytime by clicking the "My Bookmark" link on the upper right hand corner of the web site. Once you have shortlisted your ideal helpers, please contact Helper Direct and we will arrange interview for you immediately at the time and place you prefer. Helper Direct may also recommend some helpers to you based on the set of criteria you posted on your Job Ad. Andriod Launch Chrome browser on your mobile phone and open Helper Direct’s website www.myhelperdirect.com. Tap the menu button (the three line or three dot button) and tap "Add shortcut on Homescreen". Please enter Helper Direct as the shortcut name and then Chrome will add it to your home screen. The icon will appear on your home screen like any other app, so you can drag it around and put it wherever you like. iPhone / iPad Launch the Safari browser and open Helper Direct’s website www.myhelperdirect.com. 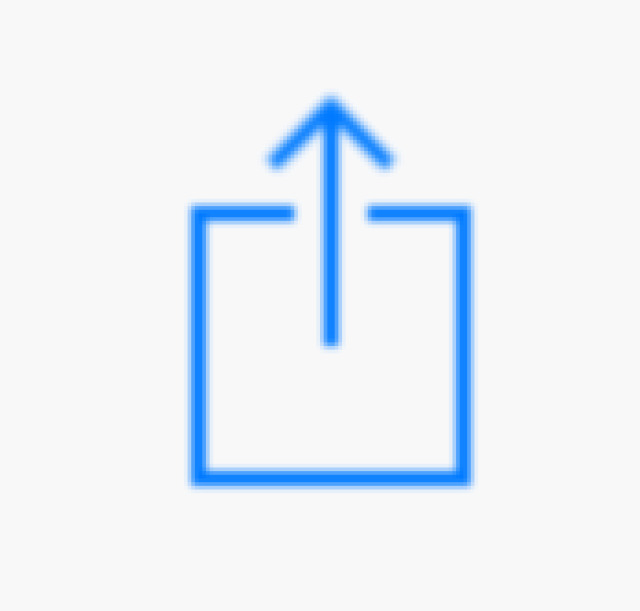 Tap the Share button (rectangle with arrow pointing upward) on the bar at the top of the screen on an iPad, and on the bar at the bottom of the screen on an iPhone. Tap the "Add to Home Screen" icon in the Share menu. Please enter Helper Direct as the shortcut name. The icon will appear on your home screen like any other app, so you can drag it around and put it wherever you like.